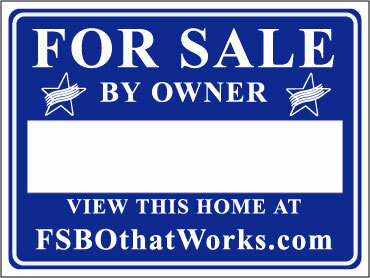 Thank you for considering FSBOThatWorks.com, the premier FSBO listing site. Provided on our site is everything you need to sell your home - free contact forms, simple tips and advice, and even a FREE listing on this website for the entire time your house is for sale. In certain situations, some sellers will want additional assistance so we put together a few packages that make obtaining these services easy and affordable. You will find that we've put together a team of resources that will deliver results at a price that you will not find anywhere else. If you would like to purchase one of these packages, please contact us for further details. Perfect for the seller who needs additional information, but wants to do it on their own! If your home still doesn't sell, we'll help you select a qualified realtor to list your home and to make sure it sells quickly. We have access to full and discounted service realtors and we'll help you find one that meets your specific needs.